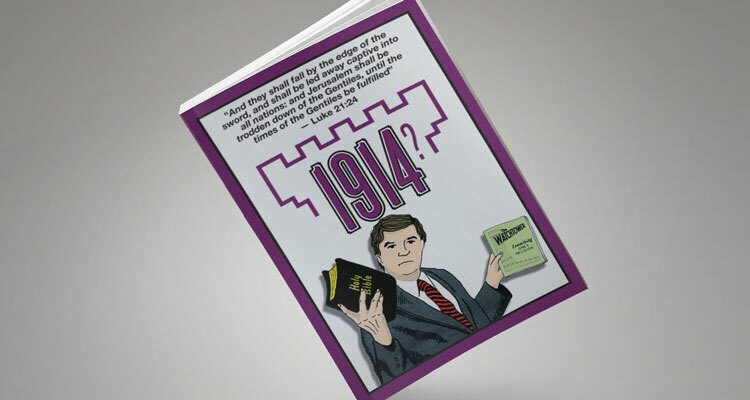 The latest book by Ralph Woodrow deals with a major teaching among Jehovah’s Witnesses: 1914 and the end of Gentile Times. It asks, and answers, the question: What does the Bible say? Did the “times of the Gentiles” last for many centuries, finally coming to an end in 1914? Can a time period of 2,520 years possibly be based on the “seven times” a Babylonian king was insane? Has “the generation of 1914” passed away? Which religious organization has set more failed dates than any other? Did the year 1975 mark the end of 6,000 years since Adam? What about the belief that Abraham, Isaac, and Jacob would be resurrected in 1925, or soon thereafter, and live at the Beth-Sarim mansion in San Diego? Are all churches and ministries, except Jehovah’s Witnesses, controlled by Satan?—and will they soon be destroyed by the United Nations, as claimed by Watchtower publications? Did the “last days” begin in 1914? Was this—finally—the time for the fulfillment of the book of Revelation? Was this when Christ was crowned King in Heaven? This book has been sent free to all on the mailing list of the Ralph Woodrow ministry. Now the entire book is here available on line—or you may request a copy by mail, free and postage paid (within the USA). For those who may choose to help, offerings will be gratefully received—of course!